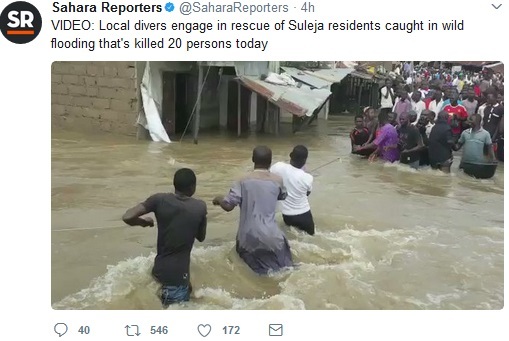 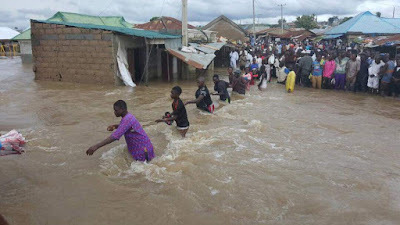 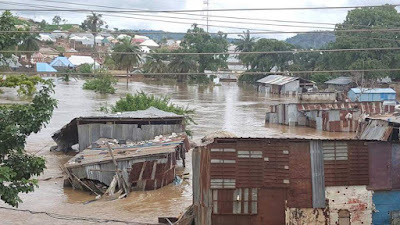 According to Sahara Reporters, local divers were seen engaging in the rescue of some Suleja residents caught in wild flooding that killed 20 persons today. 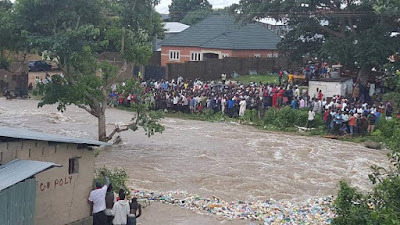 More photos from the unfortunate incident below. 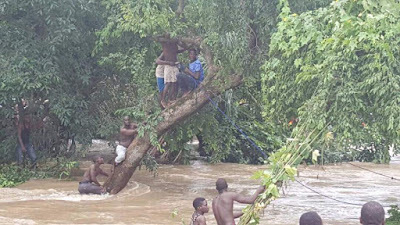 Really sad.